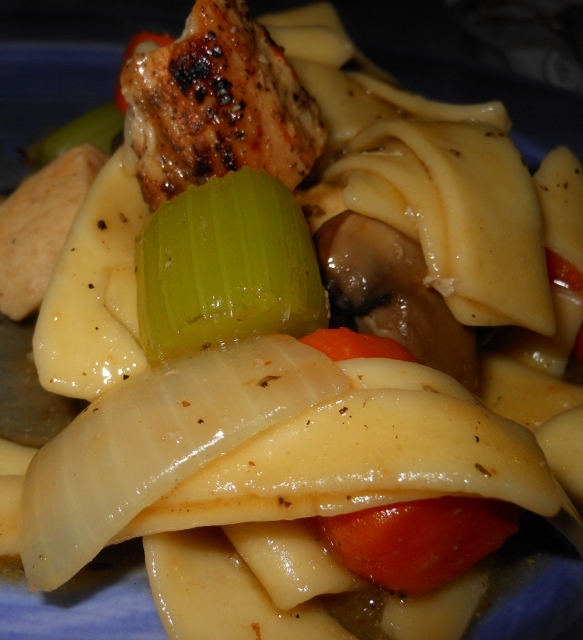 We made some quick and tasty chicken and noodles tonight. I was looking for something easy to fix after a busy day and this fit the bill perfectly. In large skillet combine carrots, celery, onion, mushrooms, and butter. Cook for about 5 minutes. If using raw chicken add to the vegetables now and cook for about 5 minutes more to sear the chicken. 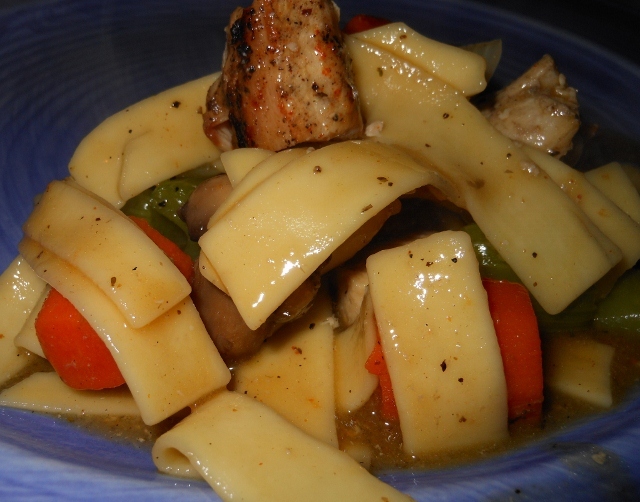 Add the chicken stock and noodles and cook for 10 – 15 minutes or until noodles are cooked to desired tenderness. 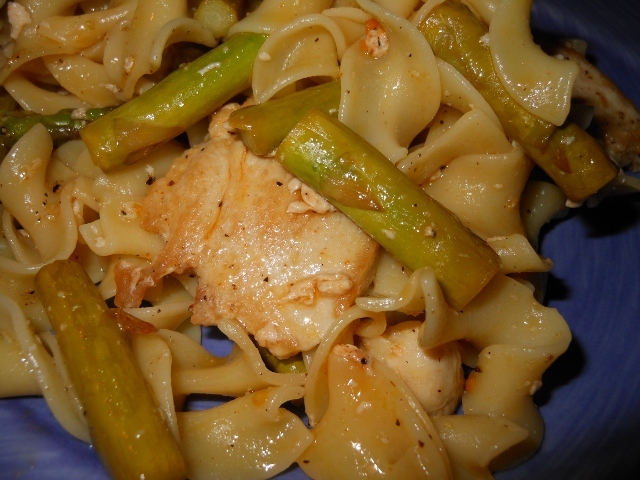 (if using pre-cooked chicken add during last few minutes of noodle cook time). Season as desired.